Helen was born at Louisville, Jefferson County, Kentucky, on 18 January 1906. She married Roy Eldred Tabb at Louisville, Jefferson County, Kentucky, on 28 November 1931. 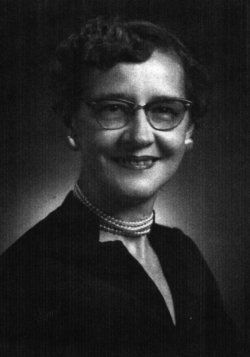 Helen died on 1 January 1991 at Elizabethtown, Hardin County, Kentucky, at age 84. Her body was interred after 1 January 1991 at Sonora, Hardin County, Kentucky, at Sonora Cemetery. Robert was born on 21 May 1986. Robert died on 28 November 1995 at age 9. His body was interred after 28 November 1995 at Sonora, Hardin County, Kentucky, at Sonora Cemetery. William was born in 1849. He married Margaret Elizabeth (Betty) Baker on 6 August 1896. William died in 1936. Georgia was born at Bells, Grayson County, Texas, on 14 May 1893. She married James Clinton Smothers at Altus, Jackson County, Oklahoma, on 17 November 1912. Georgia died on 20 August 1957 at Sinton, San Patricio County, Texas, at age 64. James died. James was born. 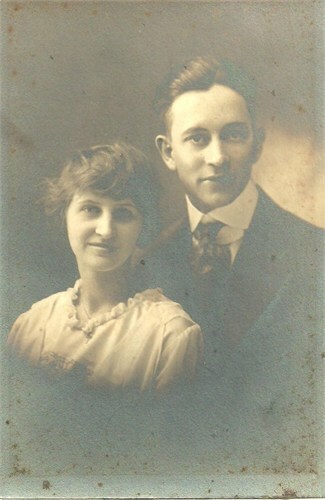 He married Georgia Mae Tabb at Altus, Jackson County, Oklahoma, on 17 November 1912. Paul died. Paul was born at Austin, Travis County, August, on 31 July 1913. He married Alice Mozelle Minnick at Old Minnick Farm, Cedar Point, Williamson County, Texas, on 31 July 1934. Granville died. Granville was born. Ree died. Ree was born. William was born at Hardin County, Kentucky, on 21 May 1883. William died on 5 August 1958 at Hardin County, Kentucky, at age 75. Thomas was born at Hardin County, Kentucky, on 29 September 1884. Thomas died on 20 July 1966 at Sonora, Hardin County, Kentucky, at age 81. He married Myrtle Tabb. Jesse died. Jesse was born. She married Ernest C. Tabb. Ruth H. Wright was buried at Sonora Cemetery, Sonora, Hardin County, Kentucky. Ruth was born on 1 April 1920. William was born at Glendale, Hardin County, Kentucky, on 3 December 1919. He was buried in March 2007 at Gilead Baptist Church, Glendale, Hardin County, Kentucky. He died on 2 March 2007 at Baptist Hospital East, Louisville, Jefferson County, Kentucky, at age 87. John was born at Glendale, Kentucky, on 29 April 1923. He died on 7 March 2017 at Washington at age 93; He was cremated. Billy was born at Hardin County, Kentucky, on 12 February 1979. He died on 1 August 1998 at age 19. He was buried after 1 August 1998 at Elizabethtown Memorial Gardens, Elizabethtown, Hardin County, Kentucky. Nellie Mae Tabb was buried in 1897 at Riverside Cemetery, Attica, Fountain County, Indiana. Nellie was born at Elizabethtown, Hardin County, Kentucky, on 21 December 1900. She married Jesse Cleo Williams on 21 April 1918 at Fountain, Indiana. Nellie Mae Tabb died in 1987 at Indiana. Elsie was born at Hardin County, Kentucky, on 12 April 1899. She married Clarence Harned at Clark County, Indiana, on 5 June 1916. Elsie died on 5 July 1974 at Louisville, Jefferson County, Kentucky, at age 75. She was buried after 5 July 1974 at Hardin Memorial Park Cemetery, Elizabethtown, Hardin County, Kentucky. She married Toby Hart. Lillian was born at Hardin County, Kentucky, on 16 October 1900. Lillian died on 19 December 1978 at age 78. Her body was interred after 19 December 1978 at Hardin County, Kentucky, at Valley Crreek Baptist Church Cemetery. Hallie was born at Hardin County, Kentucky, on 23 November 1902. She married Lee Joseph on 5 November 1923. Hallie died on 31 December 1982 at Hardin County, Kentucky, at age 80. Her body was interred after 31 December 1992 at Hardin County, Kentucky, at Valley Crreek Baptist Church Cemetery. Mary died. Mary was born. She married Virgil Hewitt Tabb on 8 April 1931.